Bulls in the Airline space are cringing Tuesday afternoon as several factors are weighing on the sector. Crude oil has been rallying from six-month lows over the last few trading sessions, up nearly 5 percent from a Wednesday low of $91.77 per barrel. Traders in the oil space are positioning themselves ahead of an OPEC meeting and crude oil inventory data on Wednesday. Several sources are also suggesting updates on the expansion plans for the Keystone pipeline are helping boost prices. Speculators may be shifting away from Airline stocks following strong US auto sales figures Tuesday. A reading from Autodata showed a seasonally-adjusted annual rate of about 16.41 million units as of November, much better than the expected 15.8 million unit estimate. Shares of Delta Air (NYSE: DAL) are down 3.6 percent at last check, shares of United Continental (NYSE: UAL) are down 3.8 percent, US Air (NYSE: LCC) shares down 2.8 percent, shares of Southwest (NYSE: LUV) down 2 percent, JetBlue (NASDAQ: JBLU) shares down 2 percent and shares of SkyWest (NASDAQ: SKYW) down nearly 4 percent. 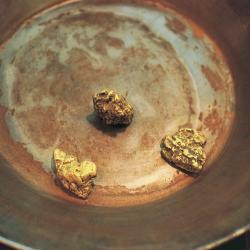 Gold Hits Lowest Level Since June; but Is it a Bottom?